One of my most embarrassing middle school memories involves a pumpkin. My mother had rounded up our family for a fun fall jaunt over to a local farm stand to pick out pumpkins for carving or painting. When we arrived, pumpkins were piled high in a wagon, about half a ton of them, according to my recollections. We pawed through the pumpkin collection, hugging huge pumpkins and holding tiny ones on our palms. My younger brother and sister made their selections easily. I lingered, deciding. Finally, I made my choice. It was the perfect pumpkin. Petite enough to look graceful on the front porch, but not so small you’d miss it. And the color was deep, bright, glossy orange. All the other pumpkins blurred to nonexistence at that moment. The only pumpkin in the world was this glossy orange pumpkin. My siblings leaned against the car and looked bored. “Which pumpkin do you want, Becky?” my mom asked. I was still mesmerized by the color of my perfect pumpkin. “The orange one,” I sighed. My stomach turned as squishy as the innards of a pumpkin. I had missed the forest for the trees, the pumpkin patch for the pumpkin. My perfect pumpkin had become The Pumpkin of Shame. I have since spent a lot more time with pumpkins, and learned more about farming, too. 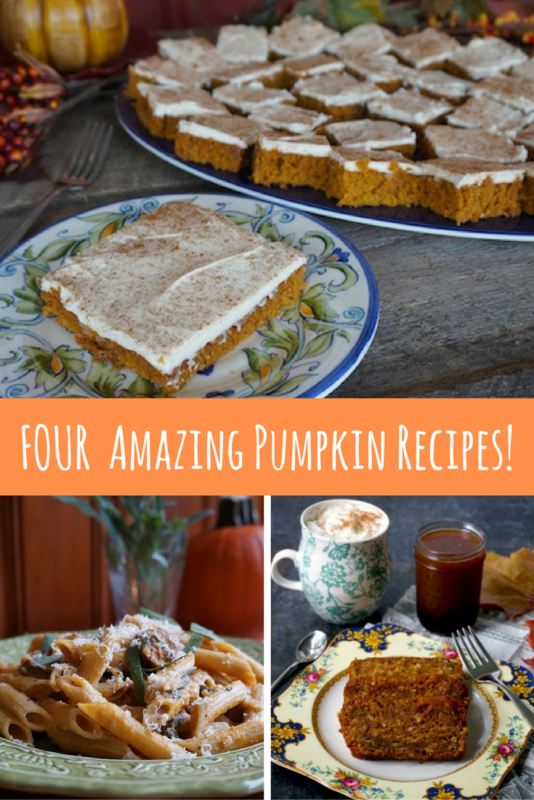 I have also learned quite a few delicious recipes for using pumpkin. I’ve learned that pumpkin recipes don’t use the Jack-O-Lantern kind, like my glorious “orange” pumpkin. They generally use Fairy Tale Pumpkins, Neck Pumpkins or—the classic for commercial pie puree—Hubbard Squash. So, pick out your perfect edible pumpkin—orange, brown, apricot-colored, dark green or white—and enjoy these delicious recipes from our archives. Pumpkin-spice lattes at home? You can totally do it. And it’s better than ever with real pumpkin puree and a delicious combo of cinnamon, nutmeg, cloves and cardamom. 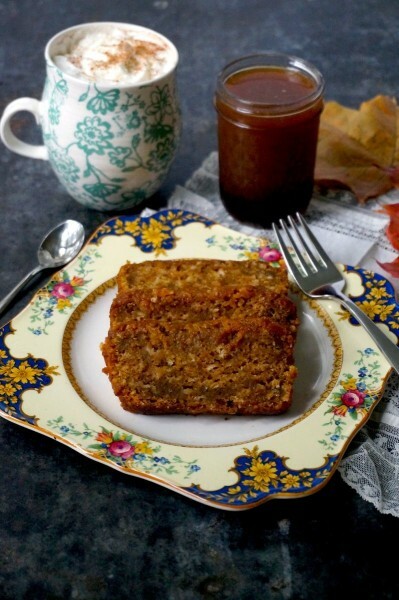 Enjoy it with a slice of pumpkin apple bread! 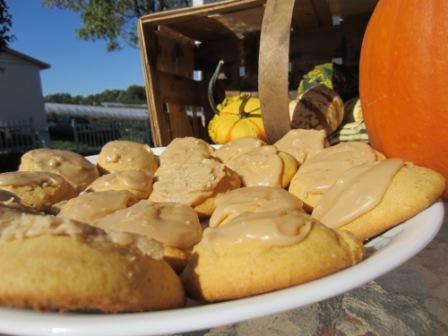 Fairy Tale Pumpkin Cookies Basking in the warm orchard sun! Here’s an essential pumpkin lesson I’ve gleaned: Pumpkin CANNOT be canned. Squash’s acid level is too low, and that means dangerous botulism-causing bacteria can grow. The combination of that and the density of pumpkin butter and mashed or pureed pumpkin makes it difficult for water bath canning methods and pressure canning methods to thoroughly heat the pumpkin and zap any trace of bacteria. When you see pumpkin butter at the store, it’s safe because commercial kitchens acidify it and test it in ways that go above and beyond what anyone can manage in a home kitchen! So, what’s a pumpkin enthusiast to do? Make room in the freezer! 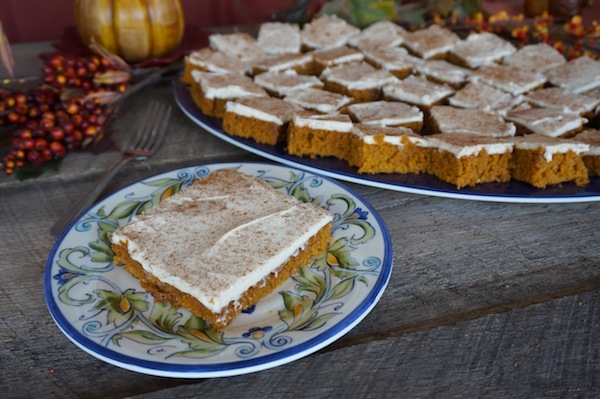 The pumpkin puree in this recipe can be safely frozen for later use. 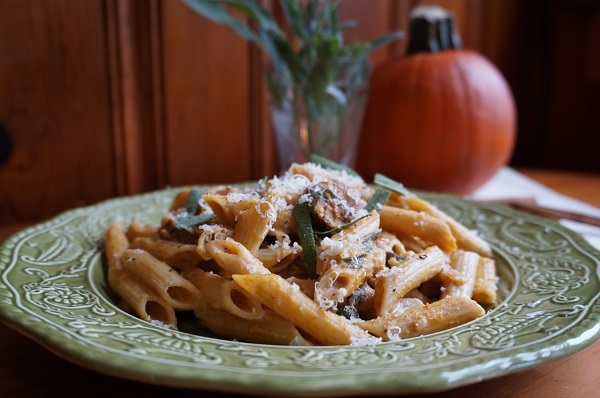 This rich, savory pumpkin dish comes from our friends at Wolff’s Apple House, where our cider, apples, and other Weaver’s produce and products are sold. This recipe is easy, too: just three steps! And the article brings an opportunity to test your knowledge of this question: Is pumpkin-flavored beer a new fad, confined to hip microbreweries? Making these recipes will require selecting a few good pumpkins. 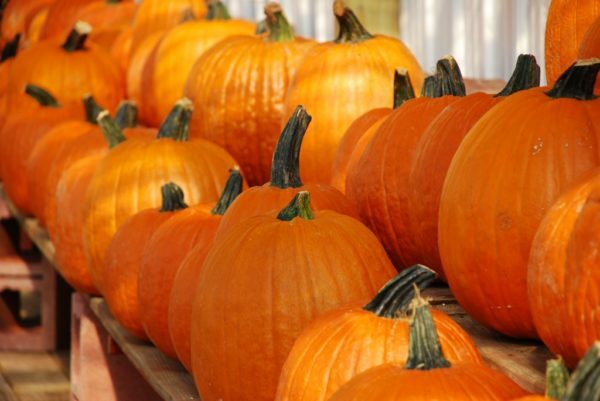 Meanwhile, let’s hope we don’t miss “the pumpkin patch for the pumpkins” during the busy fall season, and expand our focus to include what’s most important. Rebecca is a freelance writer with a love for cooking, gardening and culture. She works with VanDuzer Design & Marketing, which handles the marketing and blog writing for Wolff’s Apple House, Weaver's Orchard, Conebella Farm and Lone Star Farm. Her role includes copy writing and blog writing. She holds an MFA in Creative Writing from Roosevelt University and a BA in Professional Writing from Kutztown University.